For those who like the "library management" side of iTunes but can't stand its closed-source side or heavy footprint on Windows, MediaMonkey should appear as a very good alternative. 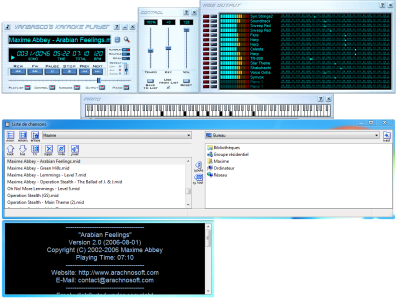 It's a multimedia player (both audio and video) coming with an interface similar to iTunes, with the ability to read and manage several hundreds of thousand files without any major flaw: sorting, renaming, tag update (title, album, artist...), file conversion (audio CDs come to mind) are few examples of what it can do. Of course, it's able to synchronize the library with portable audio players or any other appliance complying with DLNA, UMS or MTP standards like internet connection modems or multimedia hard drives. Should all features of the free version not being enough to suit your needs, the paid Gold version also comes with some additional management features. Pouchin TV Mod software can be used to watch and record digital broadcasting TV (DVB-T) on PC, using any TV tuner or adapter (USB, PCI...) having "BDA"-standard compliant drivers. The goal of this software being to offer the same features for all TV tuners of any brand, avoiding the hassle of recording TV programmes in different (and often incompatible) proprietary video file formats. Pouchin TV Mod uses standard recording formats as broadcast by TV channels (TS or PS, MPEG-2 or MPEG-4) without any additional compression, which enables you to process these files with video cutting or fixing tools like ProjectX, Cuttermaran, TSSplitter, Smart Cutter, PTvM TS TsMerger, and much more. It offers all features you'd expect from such software, especially when it comes to multiple channel recording. 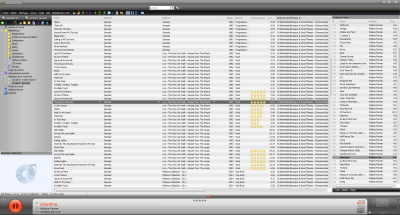 If you manipulate and listen to MIDI files or data, this player will be your best friend. Although being a must-have for any MIDI or karaoke file enthusiast, vanBasco's Karaoke Player suffers from not being updated for many years. VLC VideoLAN Player: no video format will stop it! There was a time when you had to download several codecs (coders/decoders) to read many video formats, cluttering your computer with bloated software. This time is now over thanks to VLC. At first, VideoLAN was a set of two client/server solutions for video streaming across the network, from the Ecole Centrale Paris. Time has passed, and the client part (the player) became more and more popular, outsiding the server part, and VLC now refers to the video player client itself. VLC is very popular for its ability to read many video and audio formats without relying on any external decoder, on many platforms, including Windows, Mac OS et Linux. It's also a quite fault-tolerant solution, able to read many damaged video files, and can also read DVD without any regional restriction. However, its very basic interface, inherited from its specialized tool past, remains quite outdated compared to most modern multimedia players, which often praise the convenient side of their own user interface.